Geoff Johns delighted fans at his Spotlight panel Thursday at Comic-Con International: San Diego 2018 with the news that he is writing and executive producing STARGIRL for the DC Universe digital subscription service. Greg Berlanti and Sarah Schechter will also executive produce. The original series is the sixth for the brand new service and focuses on the character that started Johns’ career as a comic book writer when he created her in 1999, lovingly inspired by his late sister who was killed in a 1996 plane explosion. The STARGIRL announcement was just one of a series of reveals from Johns during his lively panel, during which Johns also shared the newly released TITANS trailer and the panel room roared as Robin takes center stage for the new series. 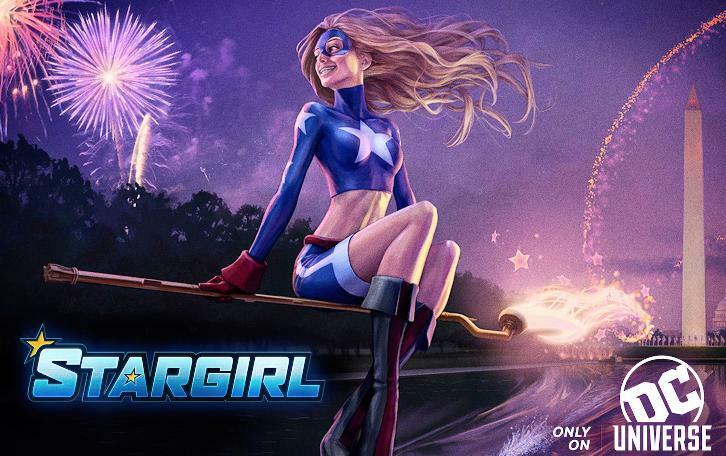 Stargirl joins DC Universe's Swamp Thing, Doom Patrol, Metropolis, Titans and animated series Harley Quinn and Young Justice: Outsiders.